Over the past few years, men’s fashion has seen quite a few trends that have inspired debates among the public. The most controversial topic I have come across as of late (and I have had many discussions on this) has been the use of skinny jeans. 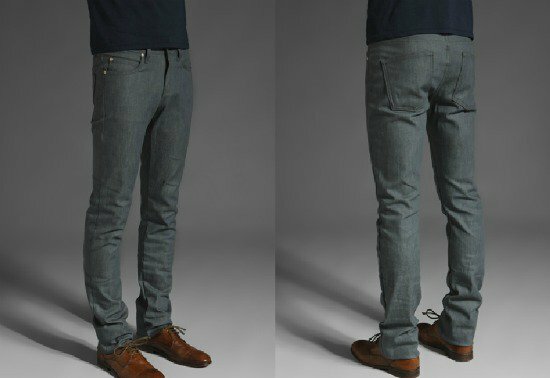 Is there a place for skinny jeans in a man’s wardrobe? My answer: Yes, yes there is. The short answer: Fashion is all about what works for you and the confidence you portray in wearing it. The long answer: Skinny jeans work best when properly suited to your frame and to what you pair with it. 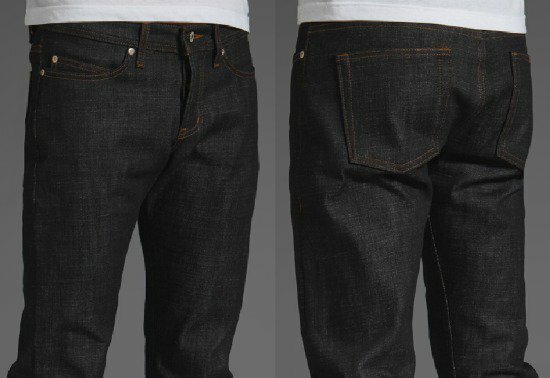 Let’s take a look at some general guidelines that may be useful in helping you choose and wear this type of jeans. Skinnier doesn’t necessarily mean better! Guys, if help is needed from your best friend to get them on and to take them off, they are way too tight. Find a pair that offers a bit of breathing room but still forms to the shape of your legs. I’m not against low-rise jeans; however, unless your planning to make a cameo in a rap video, make sure that the crotch area doesn’t sag too far south. It’s best to find a pair that fits comfortably, not too snug and definitely not too loose. Go for a clean hem to achieve a sophisticated look. 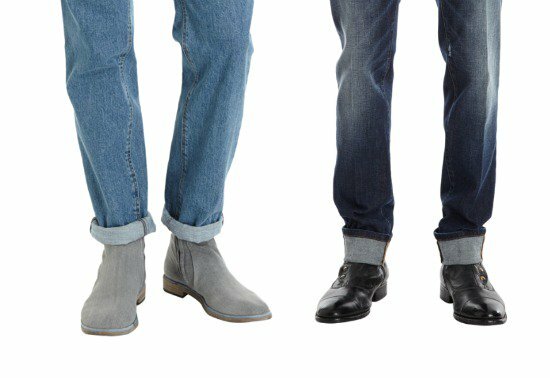 My personal preference is to fold up the bottom of my jeans to help show off my footwear and to help add a fashionable edge to my outfit. As we have now entered the colder months, go for a top or jacket that has some added texture to help complement the clean look of your jeans. To finish the look, go for classic shoes with some simple lines. 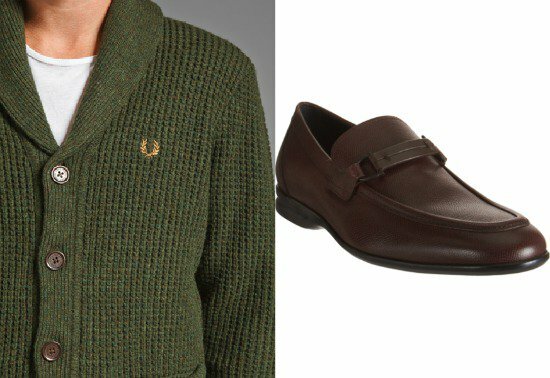 I suggest a knit cardigan with a pair of loafers. You can’t go wrong with this look!